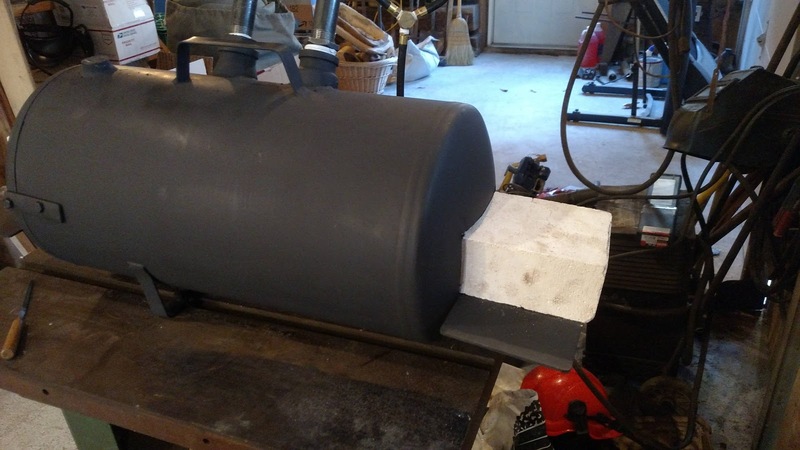 Here is my journey building my propane forge. I’m not looking at this as a coal forge replacement, but an addition to my blacksmithing tool set. 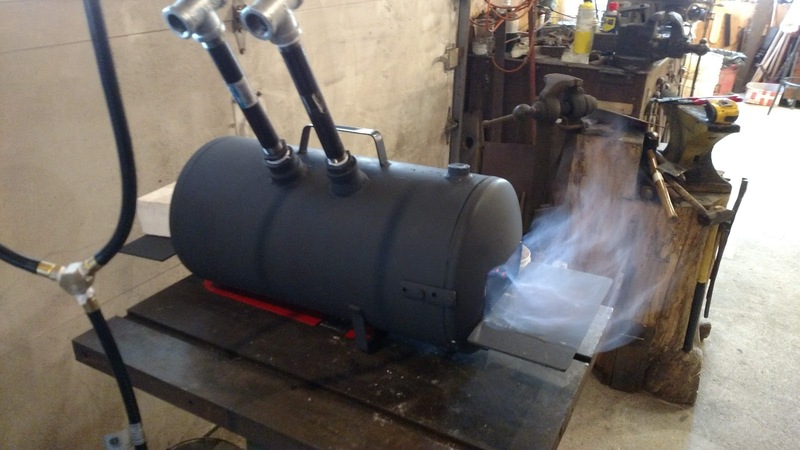 This forge is a compilation of watching a whole bunch of YouTube videos, reading blogs and websites. You don’t typically find two the same, so it seems it’s best to pick a design and go with it. zoellerforge.com was especially helpful and I wound up ordering everything I couldn’t find local from there. 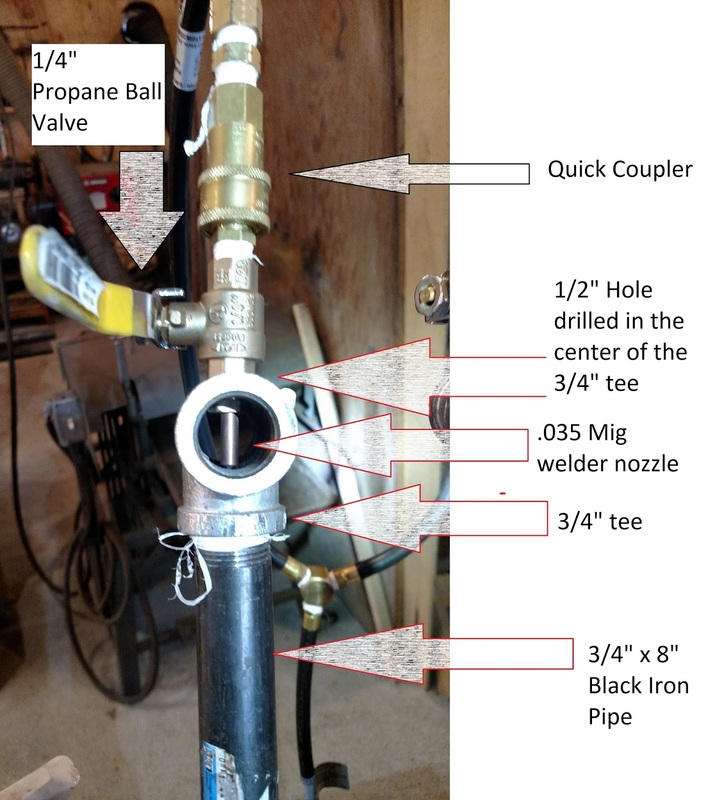 (2) .035 nozzle for mig welder. This was pretty simple once I figured it out. I drilled a 1/2″ hole in the top of the tee. With just a little filling, the plug fit through the hole. Next time I think I will tap it for the plug. 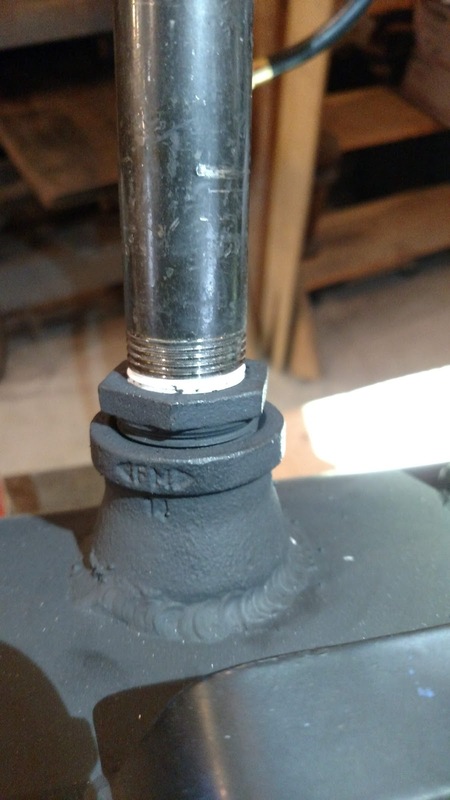 I drilled and tapped the plug 1/4″ x 28 to accept the .035 nozzle. The plug fits through the hole and the ball valve threads on it to hole it in place nice and tight. 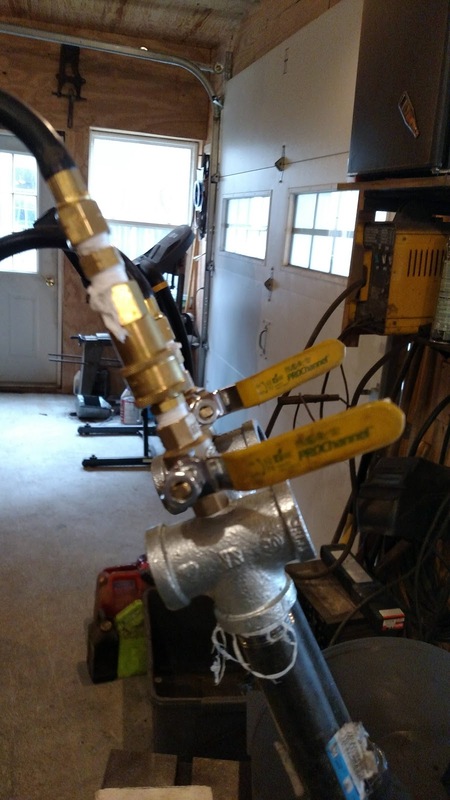 The propane connections added per Larry’s instructions. 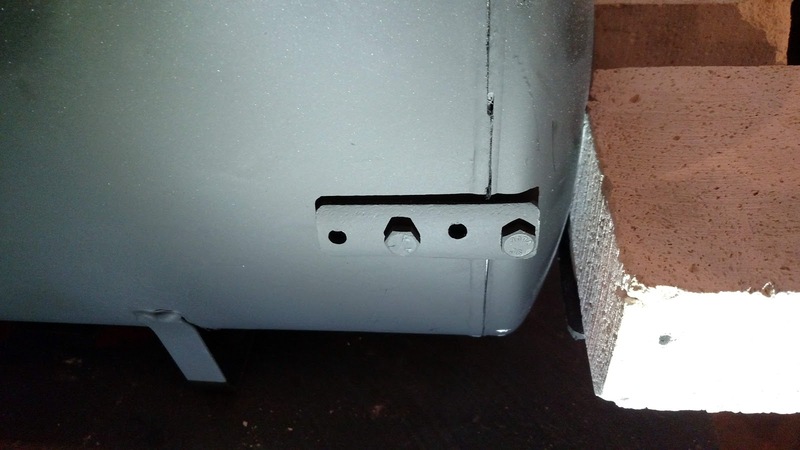 I cut the front of the tank off following the original weld line. This is just to facilitate the ability to work inside it. This cut was made with a 4 1/2″ grinder with a cut off wheel. I used a 2″ hole saw to cut the holes for the burners. You can obviously use a different technique like drilling a series of holes around and knocking it out and grinding or filing it round. I just made a few brackets to bolt the front back on. I made the back opening the size of the insulated fire brick. 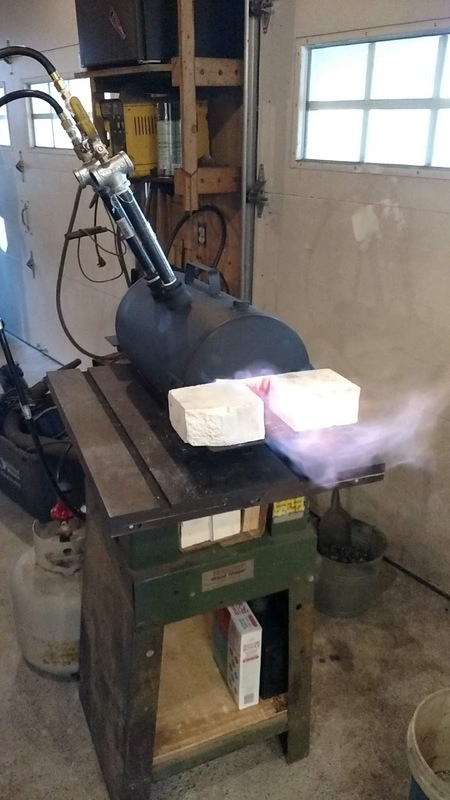 This allows me to slide the brick in to reduce the box size and use a single burner. The shelves on the front and back are just 1/8″ plate steel. The front opening is also the height of the firebrick, but wider. I can use the brick as a door to close down the opening when appropriate. Here is the back view. The firebrick is just closing the door. 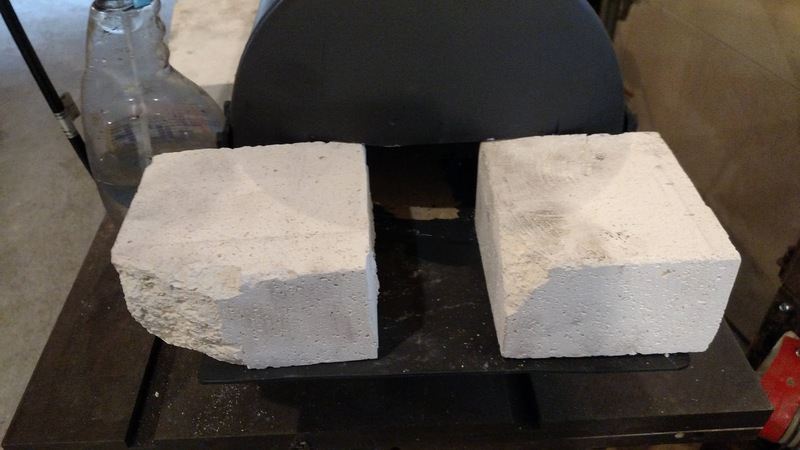 This allows me to slide the brick in to reduce the box size and use a single burner. A simple bracket to hold the front back on. 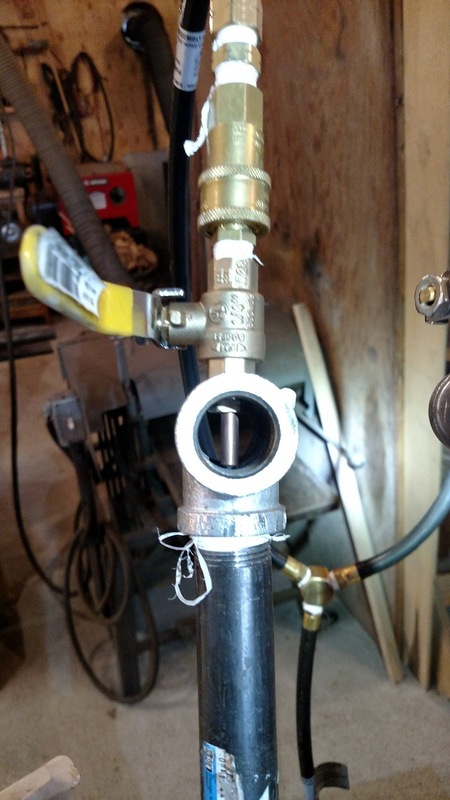 The tank is threaded to accept the 1/4″ x 20 bolts cut to length. I had trouble getting one burner to work correctly. It wound up being the nozzle was partially plugged. After figuring it out, I replaced the nozzle and everything was good.